TACOMA, Wash. - Daren Brown, the winningest manager in Tacoma Rainiers franchise history, will return to lead the Rainiers field staff in 2019. The news was announced today by Mariners Executive Vice President and General Manager of Baseball Operations Jerry Dipoto and Director of Player Development Andy McKay. Brown's staff will be rounded out with pitching coach Lance Painter, returning for his fourth season in Tacoma, and hitting coach Roy Howell, who returns for his third stint coaching in the Pacific Coast League. Brown, 51, helmed the Rainiers for all or parts of seven seasons from 2007-13, along the way compiling a franchise-best 433 managerial wins. During that span he was called up to join the Mariners coaching staff twice in 2010 and 2013, including a stint as manager in 2010. Brown led the Rainiers to back-to-back division titles in 2009 and 2010 and in 2010 helped earn Tacoma's first outright PCL Championship since 1969. Since last steering the Rainiers in 2013, Brown has served in the Mariners organization as a Baserunning Coordinator (2014), Bunting and Baserunning Coordinator (2015), and manager at the Double-A level with the Jackson Generals (2016) and Arkansas Travelers (2017-18). This coming season will be Brown's 21st year with the Mariners, and his 19th campaign as a manager. His all-time managerial record is an impressive 1,402-1,255 (.528) and includes time with independent Amarillo (1998-2000), Advanced-A San Bernardino (2001-02), Single-A Wisconsin (2003), Advanced-A Inland Empire (2005), Double-A San Antonio (2006), Tacoma (2007-13), Double-A Jackson (2016), and Double-A Arkansas (2017-18). 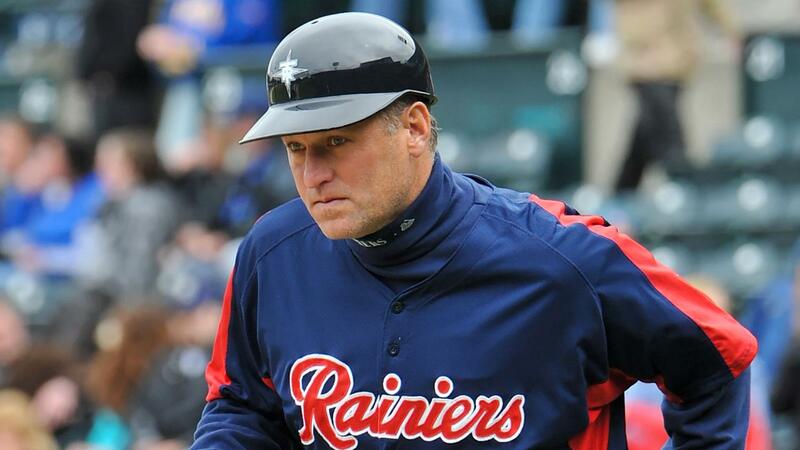 Howell, 65, will spend his eighth season in the Mariners organization coaching Tacoma hitters. The former first round draft selection, 1978 American League All-Star, and member of the 1982 Milwaukee Brewers American League Championship squad formerly served as the Rainiers manager in 2014, going 74-70. From 2015-18 Howell served as the hitting coach for the Mariners Double-A affiliates. The former infielder strung together an 11-year Major League career that included time with the Texas Rangers (1974-77), Toronto Blue Jays (1977-80), and Milwaukee Brewers (1981-84). He was selected by the Rangers with the fourth overall pick in the 1972 draft, and went on to post a career batting average of .261 with 80 home runs and over 450 RBI. Painter, 51, returns to Tacoma for his fourth consecutive season as the club's pitching coach, and his 14th year with the Mariners organization. In 2018 Painter coached 15 pitchers who earned Major League promotions to Seattle, and oversaw the All-Star campaign of right-handed reliever Shawn Armstrong, who finished tied for fourth in the PCL with 15 saves and led the league's relievers with a .192 opponent batting average and 13.18 K/9 rate. The 27 shutouts tossed by Rainiers pitchers under Painter's tenure in Tacoma are the fifth most in the PCL since 2015. Across a 10-year Major League career, Painter posted a 25-18 record in 314 appearances. He spent time with the Colorado Rockies (1993-96), St. Louis Cardinals (1997-99, 2003), Toronto Blue Jays (2000-01), and Milwaukee Brewers (2001). Completing the Rainiers baseball staff will be athletic trainer Tom Newberg, assistant athletic trainer Josh DiLoreto, and performance coach Derek Mendoza. The 2019 season will be Newberg's 13th in Tacoma, while Mendoza will log his fourth straight campaign with the Rainiers. DiLoreto spent each of the last two years as the athletic trainer in Advanced-A Modesto. The Rainiers will kick off the 2019 season on the road against the Sacramento River Cats (San Francisco) on Thursday, April 4 at 7:05 p.m. PT. The club's home slate opens on Tuesday, April 9 at 6:05 p.m. PT against the visiting El Paso Chihuahuas (San Diego). Tacoma's entire 2019 schedule can be found here.